If you were thinking of laying out the cash for one of the new touch-based e-readers, now would be a good time. Kobo is dropping the price of its Touch e-reader device, which I reviewed here, to $99 if you’re willing to see ads when the device is sleeping. That puts it at the same price as the Kindle Touch and the Nook Simple Touch, which really was an essential step considering the aggressive price war between Amazon and Barnes & Noble right now. But let us not forget that the Nook is going for $79 on Black Friday. That’s a solid deal. At the normal price, it really is kind of a difficult choice. I haven’t used the newest Kindles, but between the Nook and the Kobo I preferred the latter; I just prefer Kobo’s design, and the format support is a little better, too. But would I recommend it over a $79 Nook? 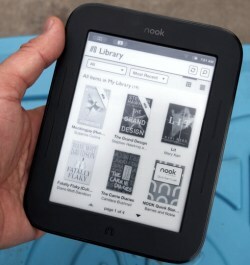 I can’t say I would, because the Nook is a solid device too (John prefers it) and it’s hard to say no at that price. But if you can’t get one on Black Friday or Cyber Monday (there are no guarantees, of course), take a good look at all three options before taking your pick. You can’t go wrong, but one of them might be a little righter than the others.